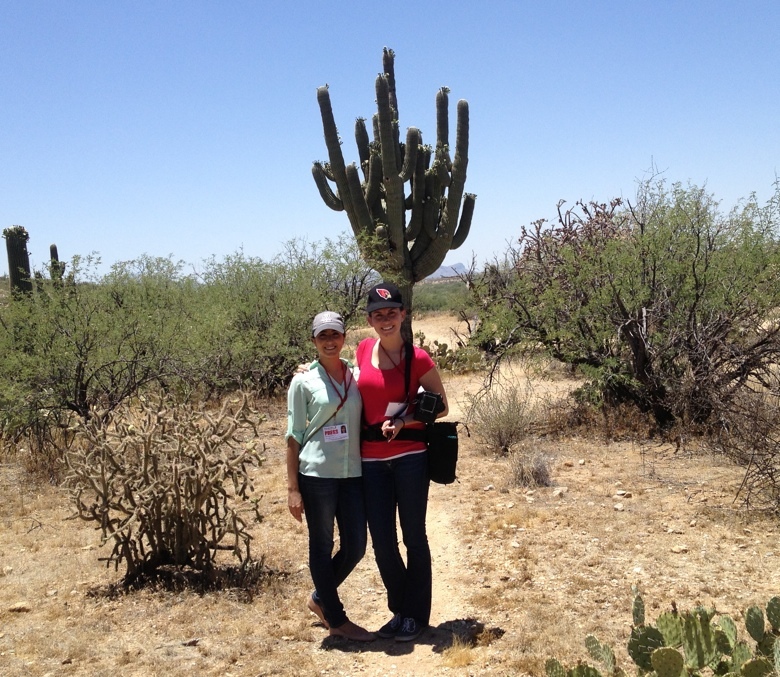 I can officially say I’ve been to Tucson. 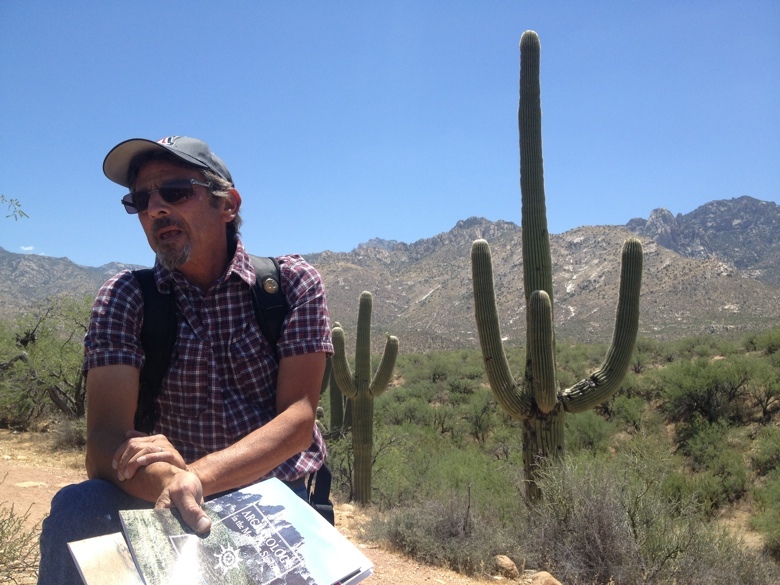 Mark D. Elson, a desert archaeologist and new-found friend, got me out of the student newsroom and into the mountains. He wasn’t kidding. 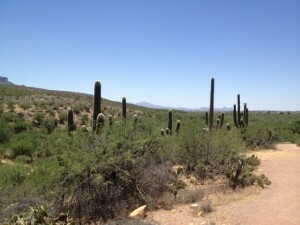 It was 98 degrees at Catalina State Park, and after a couple minutes of walking, it was hot. Really hot. As we walked up the mountain, my shoes began to fill with sand. I constantly had to stop, take them off and shake the sand out. I wondered to myself how long it would take for 911 paramedics to arrive. We were pretty far from civilization. Molly Smith, a photojournalist at the Institute, also came along. The two of us listened as Elson talked about his experience with Valley fever, gave us a crash course on archaeology and explained the scenery around us. He frequently stopped to pick up pieces of clay left behind by previous generations. Some pieces were clearly broken clay pots; others had some sort of glitter on it, probably used as decoration. He showed us what they believed to have been a house, a chimney and a ball court. As he talked, I stopped to take lots of pictures — mostly to show my friends and family in Florida. We never see cactuses or mountains there. Seriously? Valley fever, rattlesnakes and scorpions? I don’t know which is worse. In the end, I was very thankful for my tour around the mountains. I can definitely say I have a new appreciation for archaeologists.